Another groggy holiday post, another set of best-of mentions! They're just the thing to shake me from my Christmas-cookie-induced stupor. The first of them comes courtesy of Jen Forbus, who included the opening line of DEAD HARVEST among her Favorite First Lines of 2013! 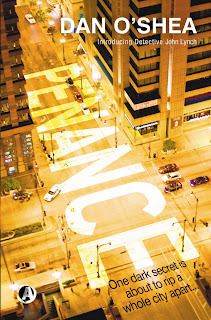 Next up, Vanessa Delamare named THE BIG REAP one of her Top Five Books of 2013! And finally, over at Snobbery, SJ and Heather teamed up to name THE BIG REAP one of two Super Best Books of 2013 (alongside Justin Robinson's CITY OF DEVILS)! What's more, they're giving away copies of THE BIG REAP and CITY OF DEVILS; all you have to do is leave a comment naming your best book(s) of 2013. So what are you waiting for? Oh, I know what you're waiting for: me to remember my manners. Many thanks to Jen, Vanessa, SJ, and Heather for the kind words! Now go. Enter. Win. I'm honored and delighted to report that Anthony, Agatha, and Mary Higgins Clark Award winner Sara J. Henry listed THE BIG REAP among her Best Books of 2013 in the Sandusky Register. Many thanks, Sara! I thought I'd take a quick break from all the decking and nogging to report that, much to my delight, THE BIG REAP has landed on a couple more year's best lists. First up is Rob W. Hart's extended list of 2013 faves. Rob's the associate publisher at Mysterious Press, class director at LitReactor, and all around debonair man-about-town. His list is an extension of the top five he posted at LitReactor, and it's a damn fine one. I'm honored to be included among friends and literary heroes both. Next up is Every Read Thing's Top Five of 2013. 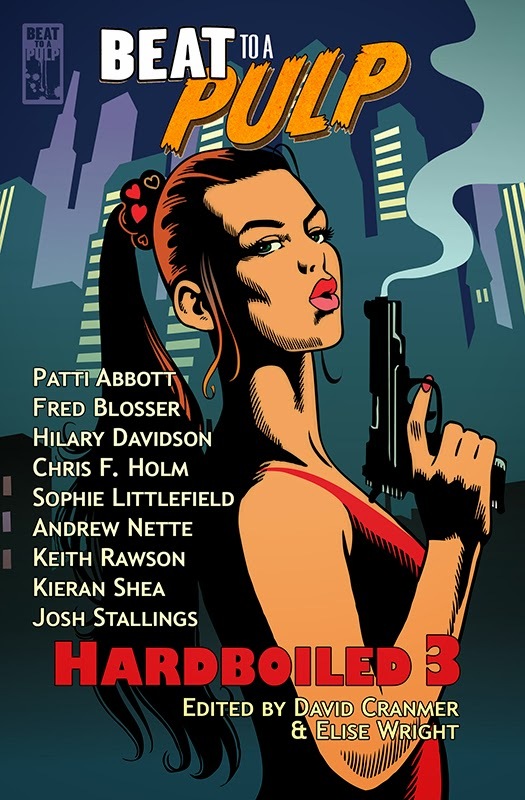 It includes books read in 2013, even if they weren't released this year, which puts me in the rather astonishing position of appearing between F. Scott Fitzgerald and Darwyn Cooke's adaptation of Richard Stark's SLAYGROUND. I'll admit, I'm stunned, confused, and all kinds of humbled to be in such hallowed company. Many thanks to Rob and Brandon. I owe you gents a beer. 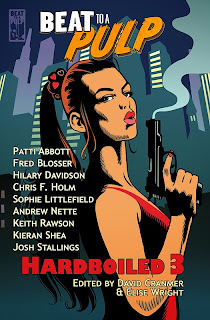 Today, Untitled*United posted a great review of THE BIG REAP, which you can read here. And to my delight, the Collector books have also popped up on a few year's best lists. THE BIG REAP was on The Passionate Foodie's Favorite Fiction Books of 2013. It snuck just under the reviewing wire at Untitled*United, because it made the Top Ten there as well. And Jade Walker put it on her Top Ten Favs of 2013, and gave both DEAD HARVEST and WRONG GOODBYE honorable mentions, to boot! Thanks, all, and a merry whatever to each of you. New Review and Mind Meld, Too! This morning, Paul Simpson of Sci-Fi Bulletin tucks in to the literary delicacy that is THE BIG REAP, and declares it "A powerful piece of urban fantasy." Thanks, Paul! 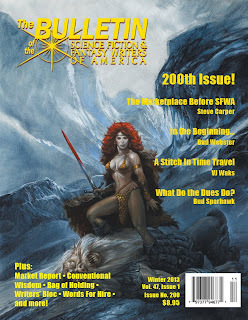 Oh, and yours truly is featured in today's SF Signal Mind Meld, alongside such talented authors as Richard Kadrey, Lou Morgan, and Stephen Blackmoore. The question du jour is "What authors are on your auto-read list?" Click through to see what we all had to say. THE BIG REAP is Now Available! As I type this, THE BIG REAP has been out in the world for going on twenty hours. I can't tell you how thrilled I am folks will finally get a chance to read it, or how bowled over I am by the support of my friends and fans on social media, who've made this book release one to remember. Thanks, all. It means a ton. And honorary inclusion in my BIG REAP Release Day Blogstravaganza on account of its irrefutable awesomnity goes to Sean Cummings' video review of THE BIG REAP. Sean is the author of the wildly entertaining POLTERGEEKS, and a great guy as well, so his kind words carry a lot of weight around these parts. Huge thanks to Steve, Mary, Stephen, Sean, and everybody who took the time to share a link or post a review. And, of course, to everyone who's bought the book. Without y'all, I'm just some weirdo with a head full of crazy stories. Actually, that's true either way, but make-believe's more fun with company. Today, at Jenn's Bookshelves, the eponymous Jenn Lawrence reviews THE BIG REAP as part of her Frightful Friday series. The verdict? "Honestly, I don’t think there is a reader out there who wouldn’t appreciate the sheer brilliance contained within this series. Highly, highly recommended." You can't ask for a nicer blurb than that. And the fact that it comes at the end of so thoughtful of a review is just the icing on the cake. Thanks, Jenn! Today, at Snobbery, guest-blogger Heather D. has some mighty nice things to say about my Collector series. Go give her post a read, while I sit here blushing. The third novel in my Collector series, THE BIG REAP, drops one week from today. But for those who simply cannot wait, my publisher has excerpted the first 50 pages for your reading pleasure. So what're you waiting for? Go see what all the cool kids (and, um, me) are talking about. Today has been a bountiful one indeed in the Land of Me, what with a new review and an interview hitting the innertubes within minutes of one another. First, the review, which comes courtesy of CheffoJeffo, who scores THE BIG REAP a perfect 5/5, and bravely declares: "My name is Cheffo and I’m a Holm-a-holic." And second, I once more got the chance to chat with the ever-charming Kristin Centorcelli of My Bookish Ways about all things Collector-y. Stop by and give 'em both a read! Hey, Mainers (and/or people visiting From Away): Want to meet a ton of Maine authors, and pick up copies of signed books? Well, you're in luck. This Saturday, from 12:30 to 3:30, me and 41 (!) other Maine authors will be participating in Books in Boothbay, a free event where you can stock up on signed books until your heart's content. Everything from memoir to mystery to poetry to children's books will be available, so it's a great way to take care of all the bibliophiles on your gift-giving list in one fell swoop. Details and directions can be found here. I hope to see you there! "The end of a series is such a bittersweet moment with a series as great as this one... Holm has went 3 for 3 with a grandslam right over center field... an easy 5/5." Thanks, Larry! Here's hoping there'll be more Collector tales to come. Scott at the delightfully named Being a Big Sandwich took an early peek at THE BIG REAP today, and he seemed to really dig it. Click through to see what he had to say, but be warned: beyond here be spoilers. Today, I'm over at Every Read Thing, chatting about all things Collector-y and then some. Pop by and give it a read! And while you're at it, follow this link to the Giveaway tab on Every Read Thing's Facebook page and click like for a chance to win a copy of THE BIG REAP! A Bilingual BIG REAP Rave! Today's review comes courtesy of Vanessa Delamare, who I had the pleasure of meeting at QuebeCrime last fall. You can read what she has to say, in English and in French, here. (Note: I'm taking it on faith they say the same thing. For all I know, she loved it in English, and then panned it in her native tongue.) Merci, Vanessa! 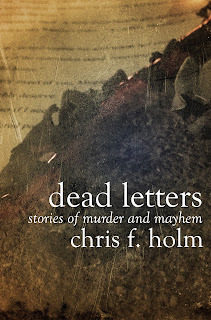 An announcement: today marks my last day as a regular blogger for Criminal Minds. I've had a blast this past year and change, and my fellow 'Minders have to a one been lovely and charming, but alas, it's time to move on. Today, for my final post, I'm talking titles. "Pretty Little Things" Now Available! 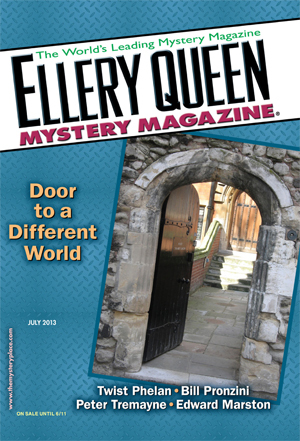 The July 2013 issue of Ellery Queen's Mystery Magazine, featuring my short story "Pretty Little Things," is on shelves now! Most of my short stories are long-gestating affairs of nebulous origin; they kick around inside my head until I get sick of 'em rattling around, and put them down on paper to get them out. Not so "Pretty Little Things." The tale was inspired by an odd phone call, and my ensuing attempt to figure out from whence it came. Turnaround from precipitating event to finished story was 48 hours. And I daresay it's one of the best shorts I've ever written. I'm delighted Janet Hutchings thought it worthy of EQMM's pages, and pleased to see it running alongside the likes of Twist Phelan and Bill Pronzini. I hope you folks dig it, too. Which fictional sleuth's world would you most like to inhabit? That's the topic at Criminal Minds this week, and today I offer up my (slightly left-field) selection. Today, I'm over at the ever-charming Sabrina Ogden's blog, talking about my short story "The Well" as part of her blog series dedicated to the stories included in the FEEDING KATE charity anthology. Thanks for having me, Sabrina! At Criminal Minds this week, the topic involves our protagonists' mothers. I think the idea was to write something sweet for Mother's Day. If so, I missed the mark, because the closest thing Sam's got is Lilith. Hints about THE BIG REAP abound. There may also be some gratuitous Glenn Danzig, on account of he's the source of my post's title. 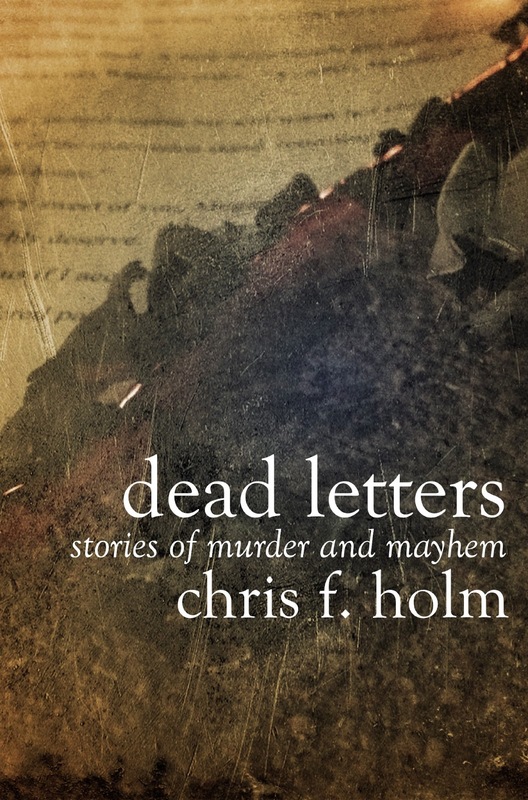 "At the risk of sounding like a fanboy, I can’t get enough of Mr. Holm’s work. Between his Collector series and now this short story collection, he’s an author that everyone should be looking out for..."
Thanks, Brandon, for the kind words! 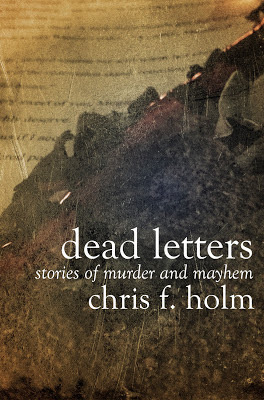 DEAD LETTERS is available here for your Kindle or Kindle app.